for over ten years. He received his medical degree from Stony Brook School of Medicine in 2003 and completed his general surgery training at the North Shore LIJ Health System. He has also had extensive training in both adult and pediatric burns as well as surgical critical care at the world-renowned Shriner s Institute for Children in Galveston. This experience included both acute and reconstructive burn care. He is board certified in general surgery and surgical critical care. 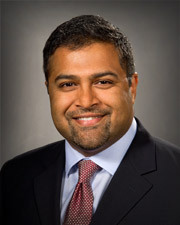 In 2010, Dr. Sayeed was hired as a staff attending by the North Shore LIJ Health System Division of Acute Care Surgery. At this institution, he enjoyed the challenges of managing critically ill patients in a systematic manner and spending time teaching residents. With interests in complex wound management and reconstructive surgery, he completed his training in plastic and reconstructive surgery with significant exposure to hand surgery and burns through the Long Island Plastic Surgical Group. He has presented his research in areas including breast reconstruction, hand surgery, wound management, burn care, and quality improvement in surgery at regional and national meetings. He is co-author of publications in various peer-reviewed journals and was also given the privilege to participate as a co-author of the chapter on operative management of burn wounds in the latest edition of Total Burn Care. Dr. Sayeed has a special interest in innovation and new techniques in surgery. When applicable, he is able to offer these options over traditional procedures to his patients. His primary office is located in Manhasset. He also sees patients by appointment in Islandia, NY.